Educational Psychologist, Doctor of Psychological Sciences (2005), Université catholique de Louvain. His research interests focus on the area of adult learning and socio-cognitive determinants, since the focus of cultural-historical psychology. 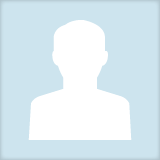 He..
Christian Sebastián Balmaceda updated their profile information.